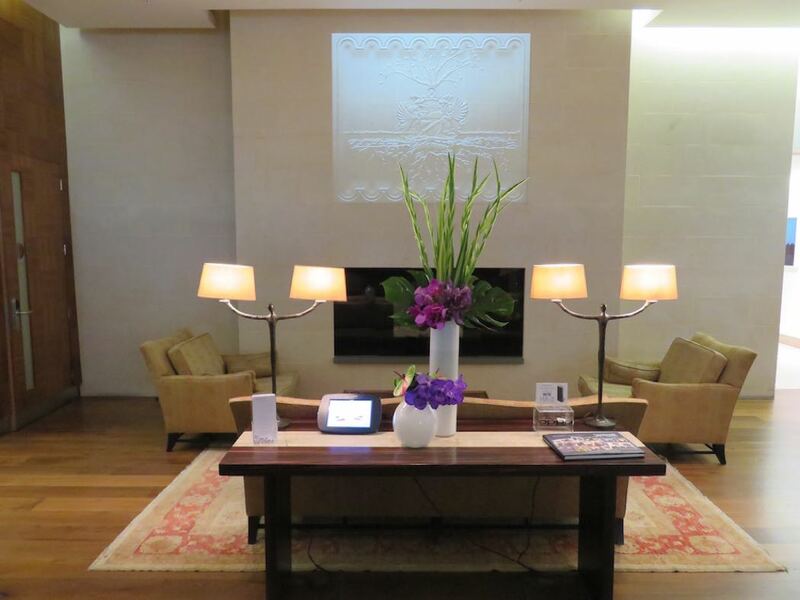 The Concorde Room is BA’s most exclusive lounge category, and a step above other Business and First Class lounges it offers across the globe. 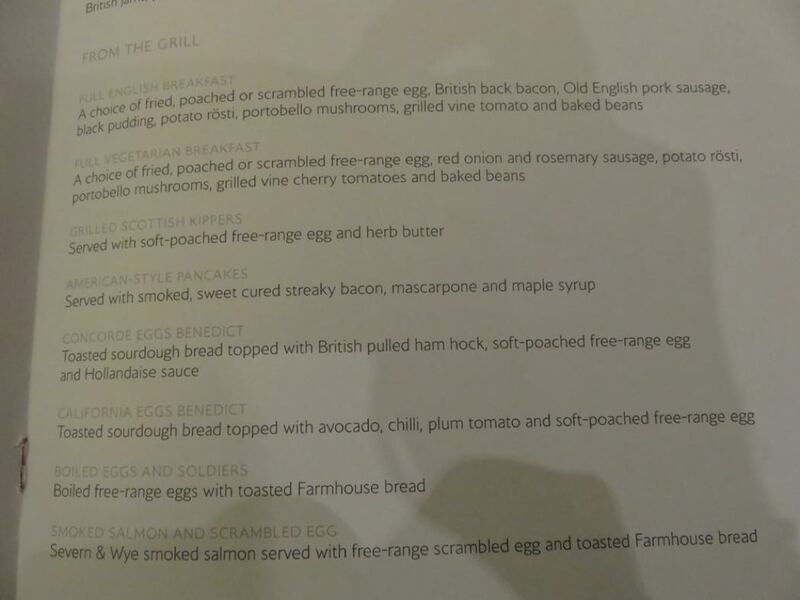 I have already written a review of the Concorde room at Heathrow T5 but this review offers more recent insight into how to access this lounge and what is on offer including pictures of the food in the Concorde Room at Heathrow Terminal 5. 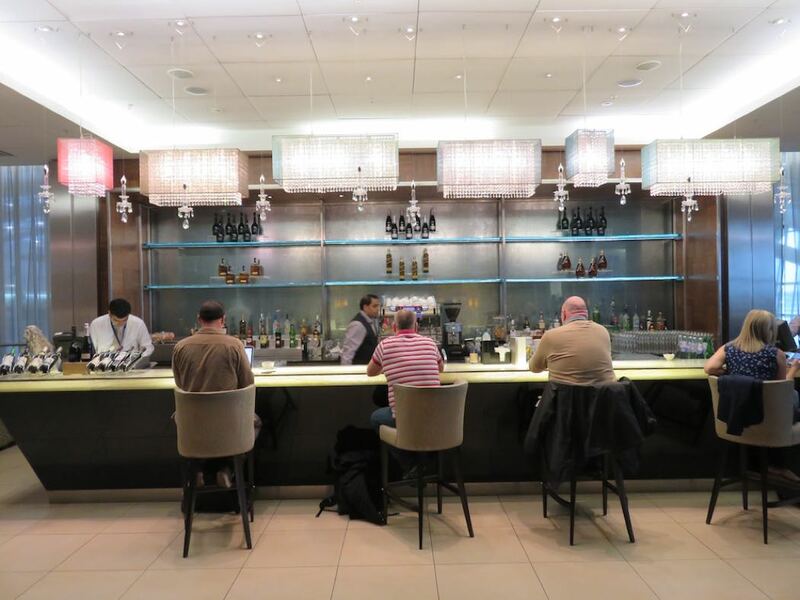 The Concorde Room is only available at London’s Heathrow Airport and New York’s JFK Airport (with smaller, less extensive Concorde bars at Dubai Airport and Singapore Airport). 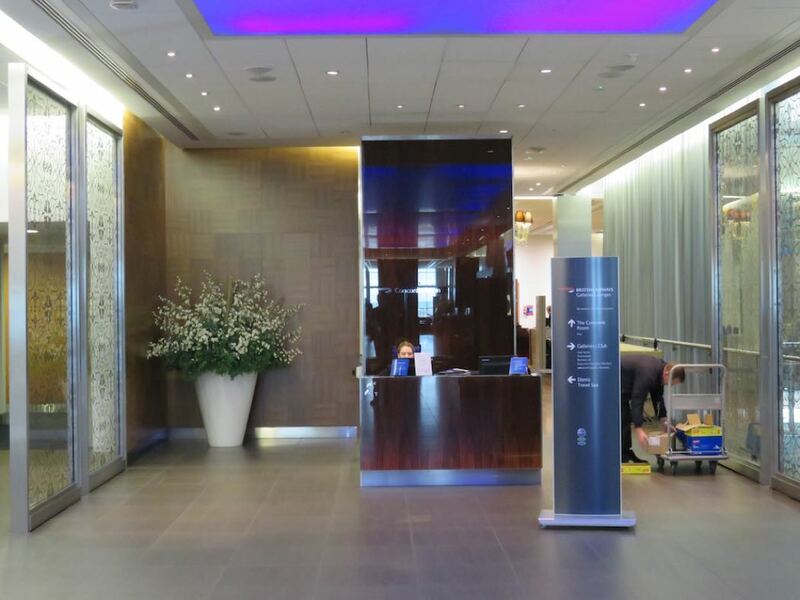 This lounge can only be accessed if you’re flying First Class on British Airways (one guest is welcome as well) or if you hold a Concorde Room card, given out for earning 5,000 tier points in a year. 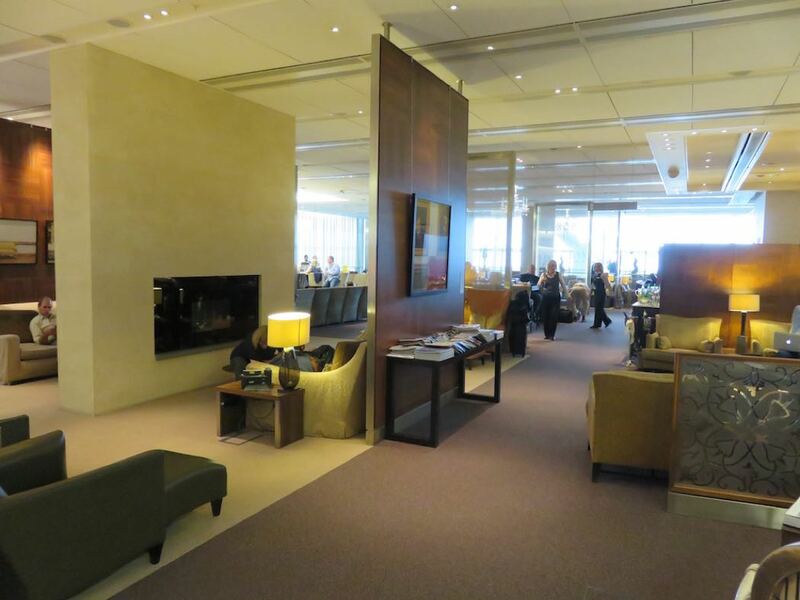 If you are flying First Class on any other airline in the Oneworld alliance, like American Airlines, you can access the British Airways First lounge. 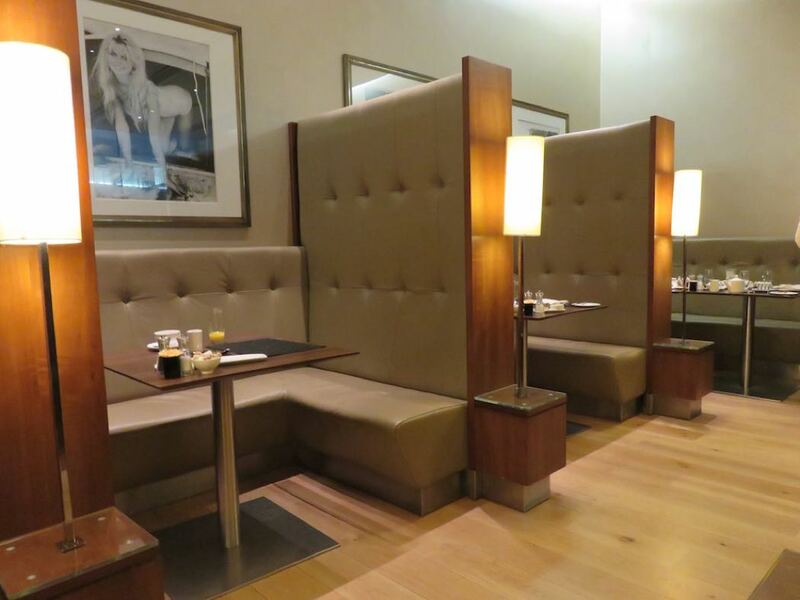 At Heathrow, the Concorde Room is located within British Airways’ lounge complex at Terminal 5. 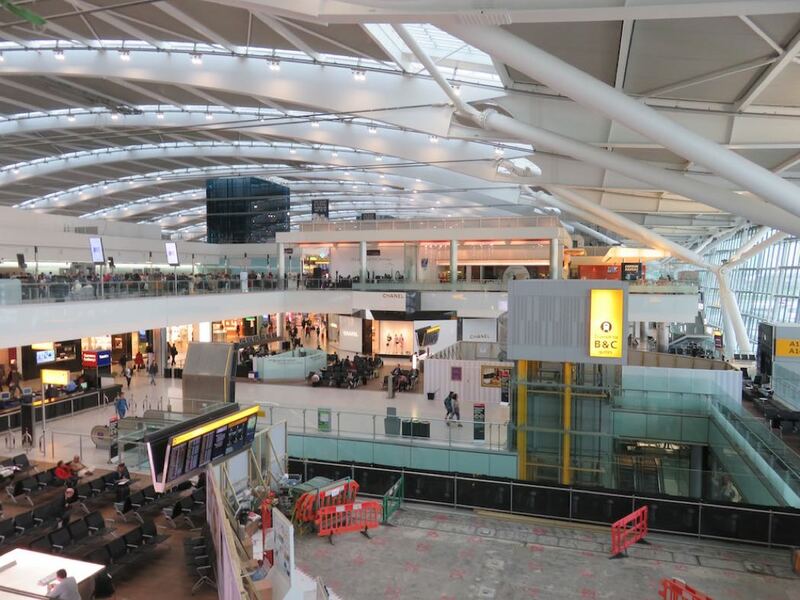 It has two entrances: the main entrance is located on the first floor above the concourse (in front of the First Class lounge, and next to the spa entrance), but it also has a discrete side entrance that is located immediately after the security check point. 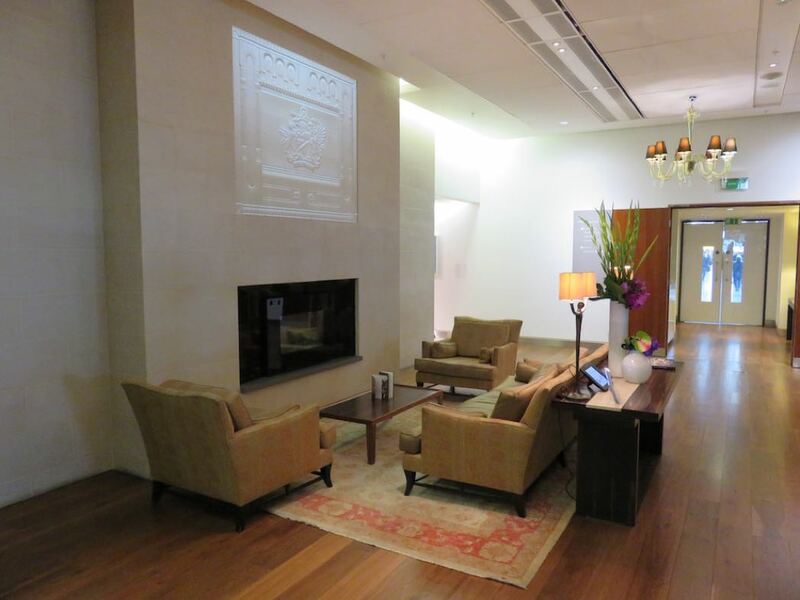 The lounge itself is somewhat reminiscent of the lobby of a boutique hotel. 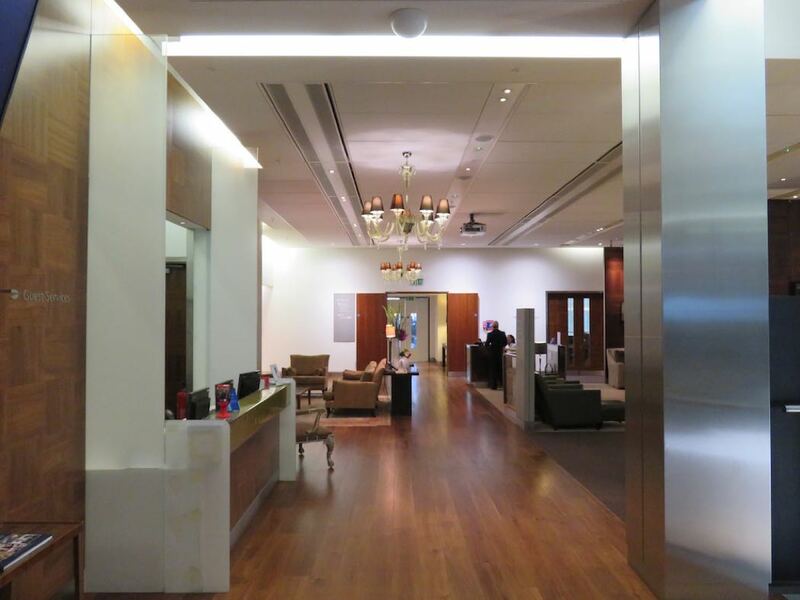 It features the same contemporary decor that can also be found in the other BA lounges, with stylish high-backed chairs, beautiful chandeliers, horse statues, and oak wooded floors. 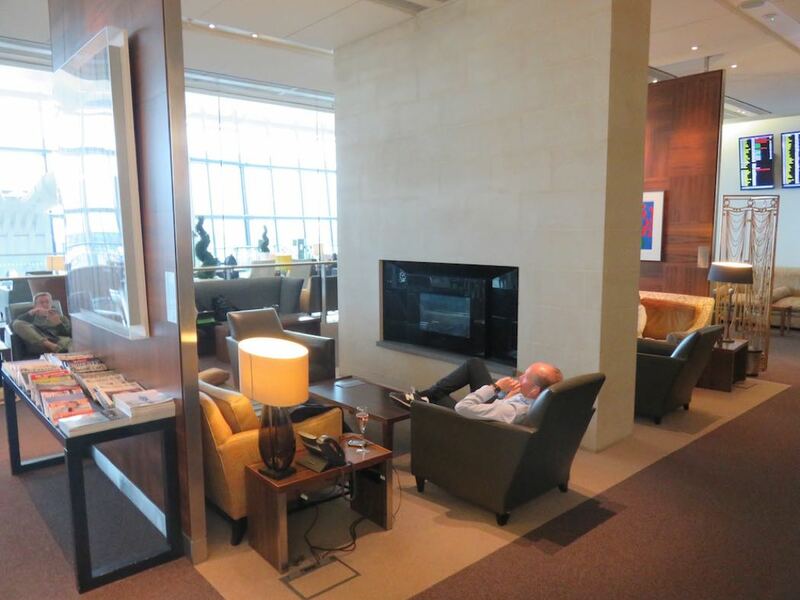 While the lounge itself is not large and feels quite busy, there is plenty of seating for everyone. 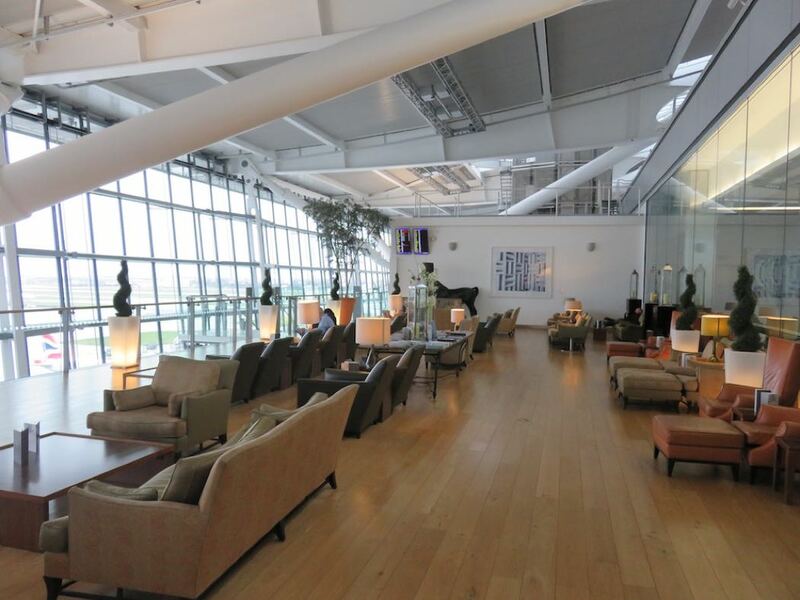 One side of the lounge features a couple of cosy sitting corners with gas fires, while the opposite side of the lounge has a terrace which offers nice views across the airport’s concourse and apron. 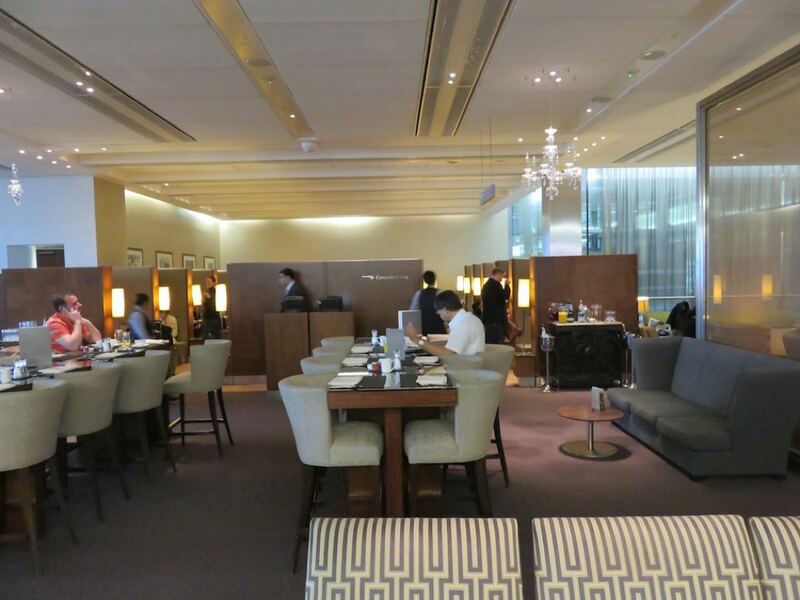 The centre of the lounge is made up of a stylish bar and restaurant. The restaurant space is quite remarkable, featuring a collection of lovely, private booths, in addition to a couple of long tables where you are seated next to other passengers if you would prefer this set-up. There’s full waiter service and an a la carte menu. 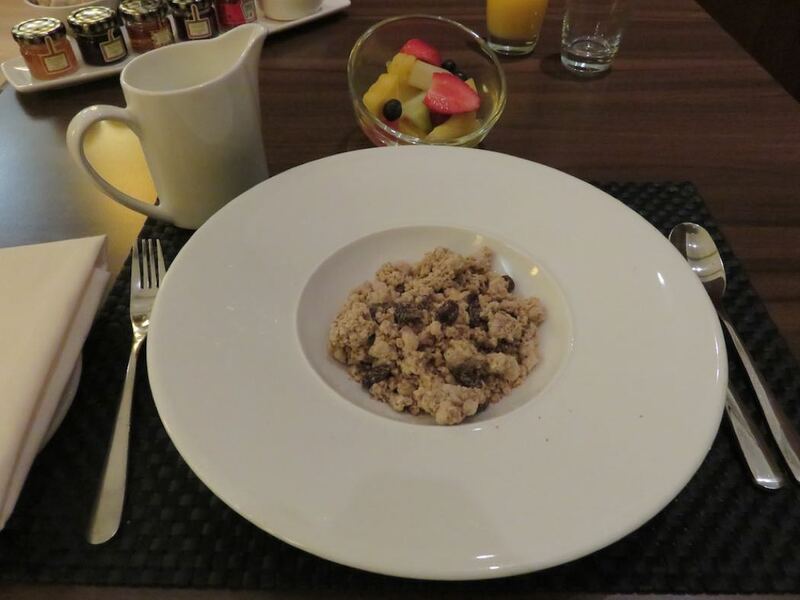 I visited the lounge in the morning, so I was offered an extensive breakfast menu, but since I wanted to save my appetite for on the plane, I only ordered some granola and mixed fruits. 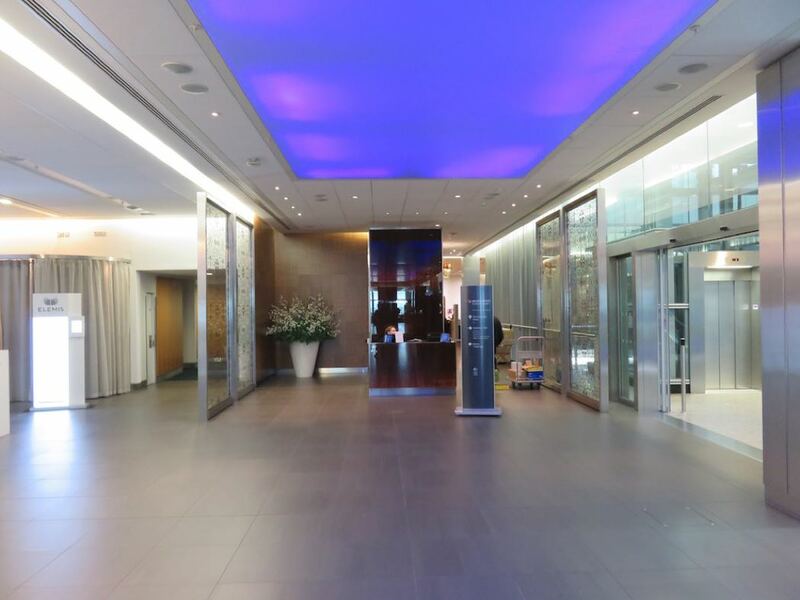 Is It Worth Booking Elemis Travel Spa at Terminal 5? 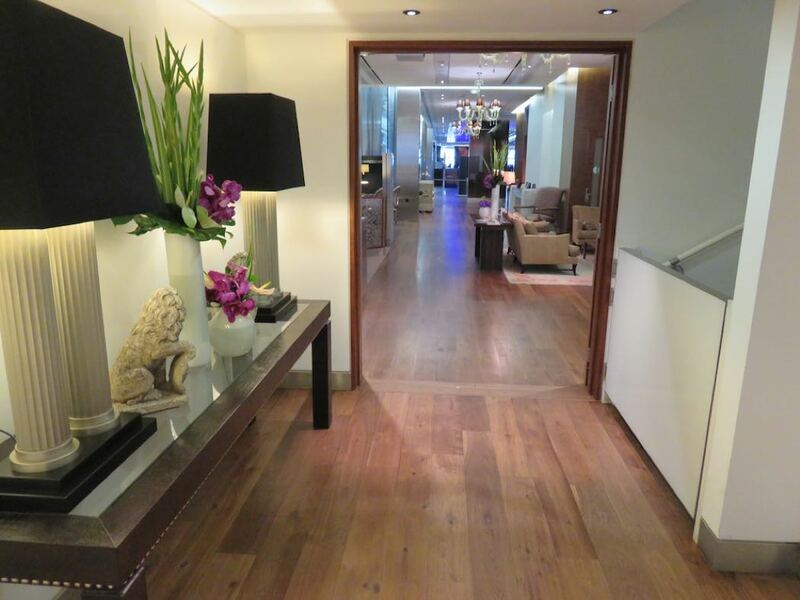 The various BA lounges at Terminal 5 share an Elemis Travel Spa, which is pretty awesome. While the complimentary treatments are quick (15 minutes), they are top shelf, plus it is something else to do to break up the trip. I loved it so do pre-book if you can. First Class passengers can pre-book treatments within 28 days of departure, while Business Class passengers and BA’s elite frequent flyers can only book them upon arrival at the spa. 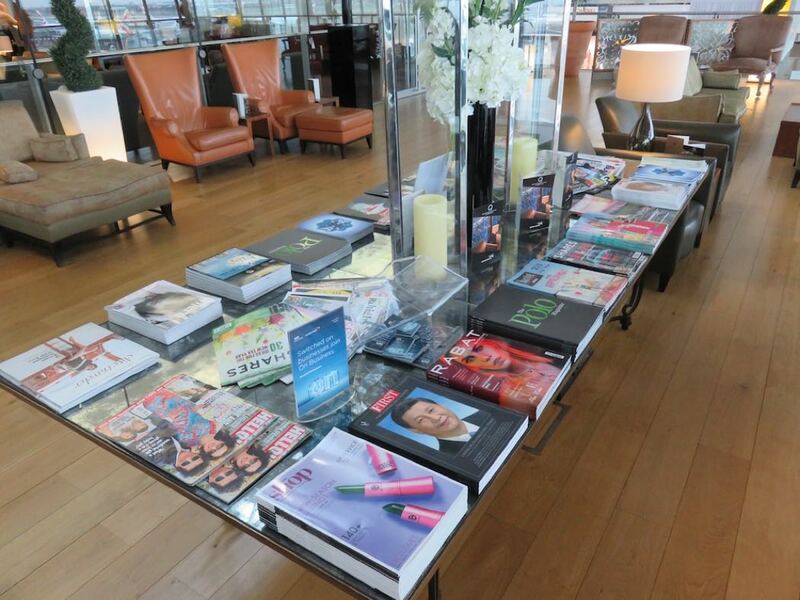 Is The Galleries First Or Concorde Room The Best Lounge At Terminal 5? 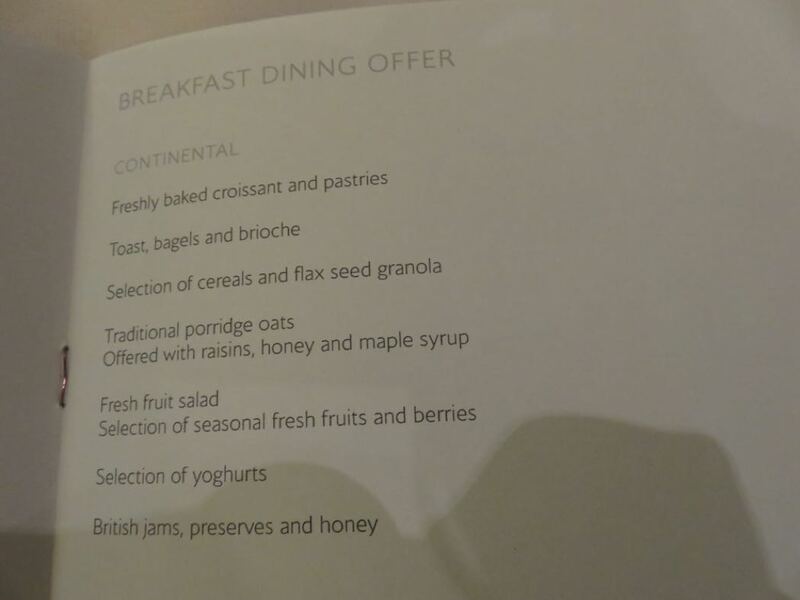 The crucial difference between the Galleries First And the Concorde Room is the fact that the Concorde Room can ONLY be accessed if you’re flying First Class or if you hold a Concorde Room card. 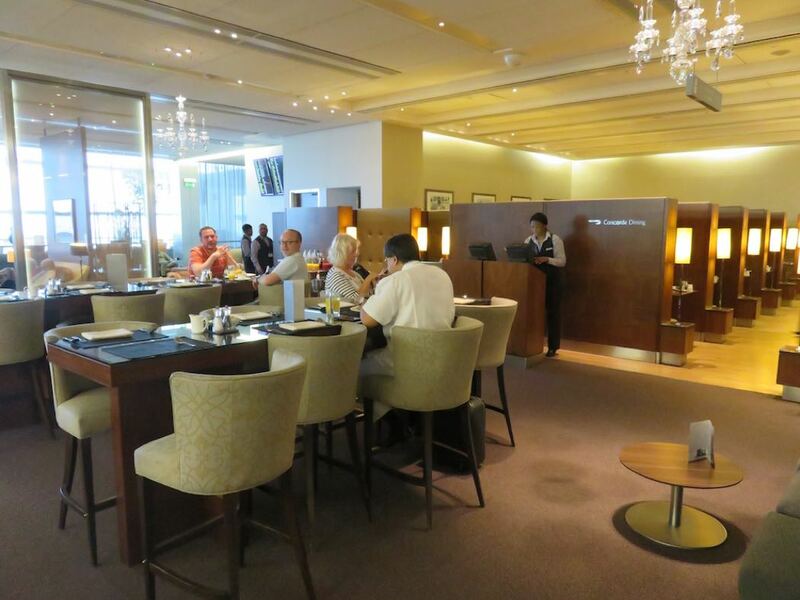 This simple fact makes the Concorde Room the best in my opinion as it is really the First Class Lounge whereas the Galleries First lounge is better described as the ‘Gold’ lounge as it can be accessed by Gold executive club members. Other factors to take into consideration when making your choice include the fact that although The bar at the Concorde Room is very stylish and the staff make great cocktails, there is nothing in The Concorde Room to match the impressive champagne bar in the self-pour Galleries First Lounge. The Concorde lounge does offer better wines and meals served at a table. If you prefer buffet style you will prefer Galleries First. The Concorde room also has great cabanas which are good for a shower and a snooze, however, these are often all taken and they can be slightly claustrophobic. It is worth reading my tips on how to find really cheap First or Business Class flight tickets to and from North America for a way to save money on your next First, Business and even Premium Economy flight booking. 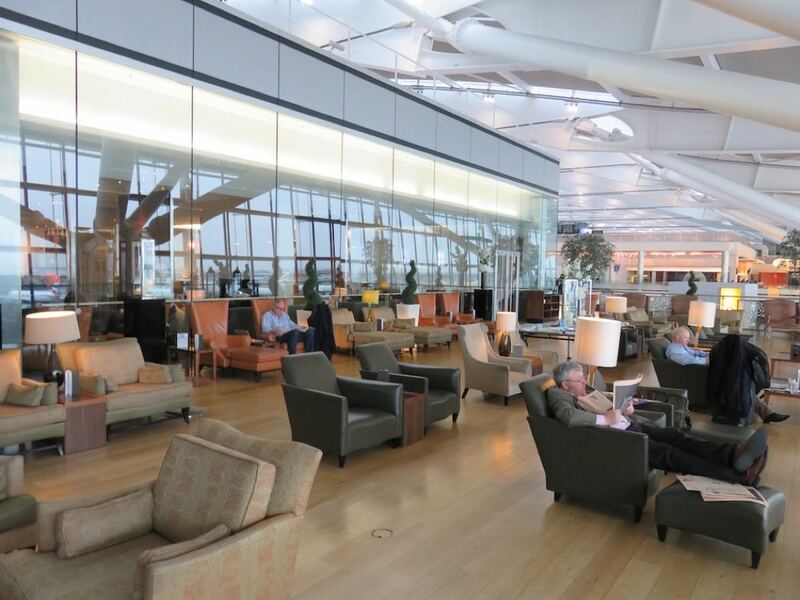 I have also reviewed my First Class experience on the British Airways Dreamliner B787-9 after stopping by this airport lounge. I have also compared British Airways Club World Vs Virgin Atlantic Upper Class and British Airways features in my top Business Class Airlines.